Find all you need to know about the “Own Yourself” Contest on this website www.ownyourself.fr. Please don’t send your files to us. Record your cover of « Own yourself » and send it to Naâman. There aren’t any artistic or technical constraints. Two winners will open Naaman’s concert on the 28th or the 29th September 2018 at the Trianon in Paris. You have until the 31st of July 2018 to participate. I started around 12 or 13 years old. My dad taught me a lot. He and my history teacher were the two persons who taught me how to play. I began with the electric guitar but I quickly switched to the classical guitar. Yes, I used it a lot during my early years of learning when I was looking for guitar tablatures. 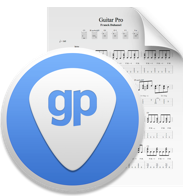 And now I’m going to test the new Guitar Pro 7. What type of guitar do you play on stage? I’m playing classical guitar, I really like nylon strings. I find them perfect for playing reggae music. I really like their softness. I’m mainly playing on LAG guitars. I’ve got two classical guitars of that brand. I’m using them on stage and when I travel. I was looking for robust guitars which could resist travels to the Himalayas. Do you use your guitar to compose your songs? No, I don’t. I’ve composed most of my songs without any guitar. I often use instrumental tracks composed by my team. I’ve composed many songs on my guitar but they aren’t recorded yet and not available in this album. Can you tell us more about your guitarist and your bassist? Yes of course. My guitarist is Quentin Dupont, he is really passionate about guitar. I met him when I was looking for musicians. We’ve been working together for 9 years. He’s a friend and a colleague at the same time. 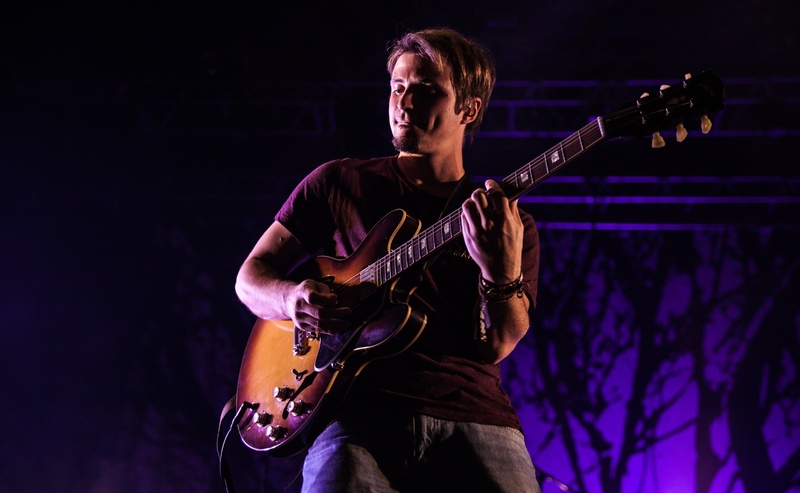 Quentin is playing a Gibson ES 335, a model used for example by BB King. 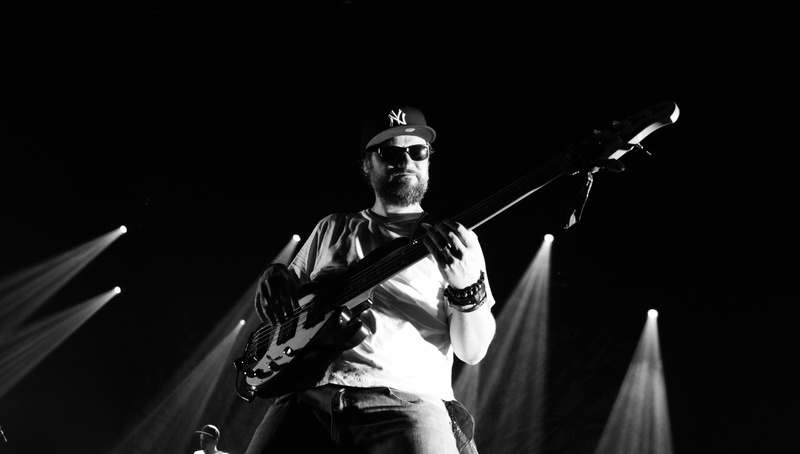 My bass player is Thomas Cirade. He has just joined our band and he is really talented. On your third album, I have noticed that you have been working with the French band called Tryo. How was it? It was great. I worked with Manu who is one of the guitarists. He’s got his own recording studio at home in Brittany. We stayed there for three weeks to make the demo of the album. I really like him. The percussionist Danielito also worked on the music of two or three tracks. Tryo also invited me on stage at the Reggae Sun Ska Festival for a freestyle. There were about 20 000 people. It was amazing, a childhood dream came true. Which new reggae bands do you like? I think that Dub Inc leads the way in reggae music. Their work is remarkable. I also like the band Raging Fyah a lot. The music clip of the song “Own Yourself ” just came out, tell us more about that song. I’m really proud of that song. In my opinion that’s the most accomplished song of my entire career so far. This represents me well. This is the message of the song: How can you love me if you don’t love yourself. You need to clean your soul to be able to find your self-esteem back because that’s the basis of everything. If you don’t love yourself, if you don’t have that self-confidence, everything falls apart around you. You can’t have any stable relationship or anything else. We need to reconnect with our basic values, we all have great potential. I will continue to travel and play live. I’m getting ready for a trip to Nepal. I’ve got another project: give a part of the profits of my concerts to humanitarian organizations. This is crucial to me.